More than just fun, learning to play card games can improve your life. 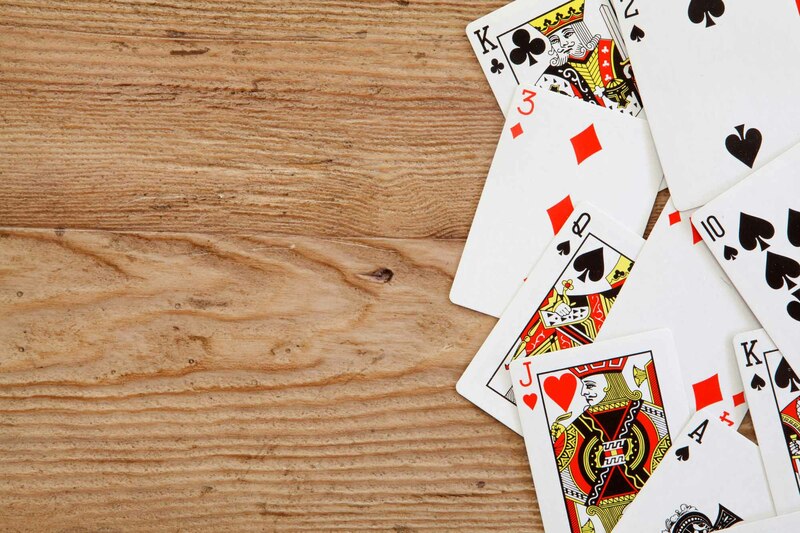 Read on to discover five unexpected ways playing cards improves your life. If you’re someone who hates squats, then there’s some amazing news for you. Many health experts state that taking care of your brain can be more influential on your overall health than going to the gym. Giving your brain a daily workout can lower your risk of developing dementia, fight depression, and improve your cognitive skills. When you think of mental exercise, infuriating sudokus or boring math problems may come to mind. Did you know that you can flex your brain while having a blast? This article is going to walk you through 5 health benefits of playing cards. Want More Cool Facts and Tips? Playing card games can be cathartic, especially for people who are prone to anxiety. Focusing your mental efforts on abiding by the rules of a card game can shift your thoughts away from being negative. Cards are also an affordable hobby that can be done anywhere at any time. You don’t even need a physical set of playing cards. If you’re someone who is always on the go or has social anxiety, there are tons of free online games for you. One fan favorite is online Baccarat. You can have all the fun of a wild night in Vegas without the risk of losing money. People do cardio and lift weights to maintain a youthful appearance. Exercising your hippocampus, or the memory warehouse of your brain is a great way to slow down your mental aging and take care of your mental wellbeing. Card matching is one of the best games for firing up your brain power. We use our excellent motor skills every day when we type, cook, eat, dress, and more. Keeping your hands dexterous is essential for daily life. Shuffling the cards in a deck and playing games that require speed can sharpen your reflexes, coordination, and hand muscles. Whether you play face to face or chat with other players online, some friendly competition can boost your mood and help you feel connected to others. Many card games like Uno and Old Maid are silly, which means you’ll spend a lot of your time laughing. Learning how to be a humble winner and a gracious loser can also help build respect to your friendships. If you have picky friends who have a hard time agreeing on one activity, don’t worry. There’s a game for all kinds of personalities. Check out this list of card games for inspiration. Why settle for daily math exercises to keep your brain sharp when you can play a fun game that sneaks math into it? Poker cards can also help with your reasoning skills and learning how to read faces. No matter which game you choose, your brain will stay busy behind the scenes while you have a good time. Were you surprised by any of these benefits of playing cards? At Internet Vibes, you can find everything you need to know about lifestyle, travel, business, art, and more. Check out our blog for more exciting news.